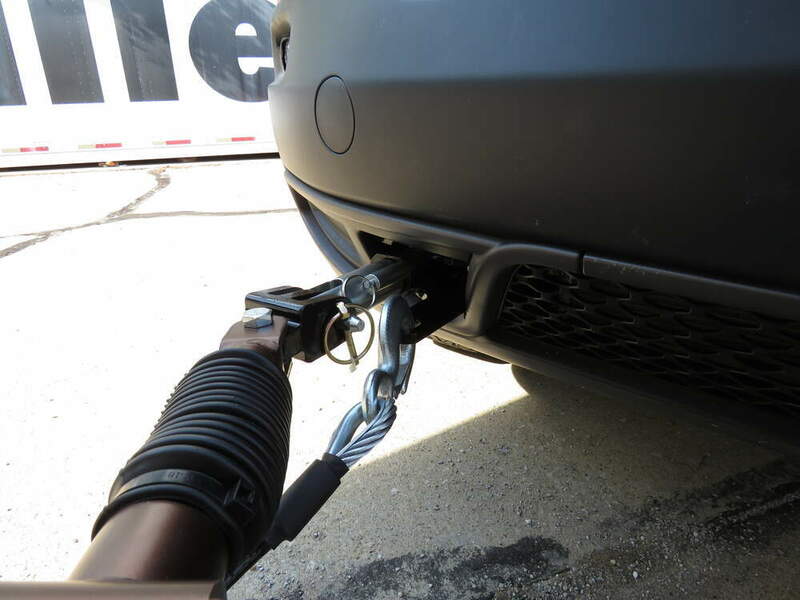 Safely tow your vehicle around tight corners and bends with the Avail tow bar. Self-aligning arms telescope to automatically center and lock in place. An improved turning radius offers better maneuverability for a safer, smoother ride. 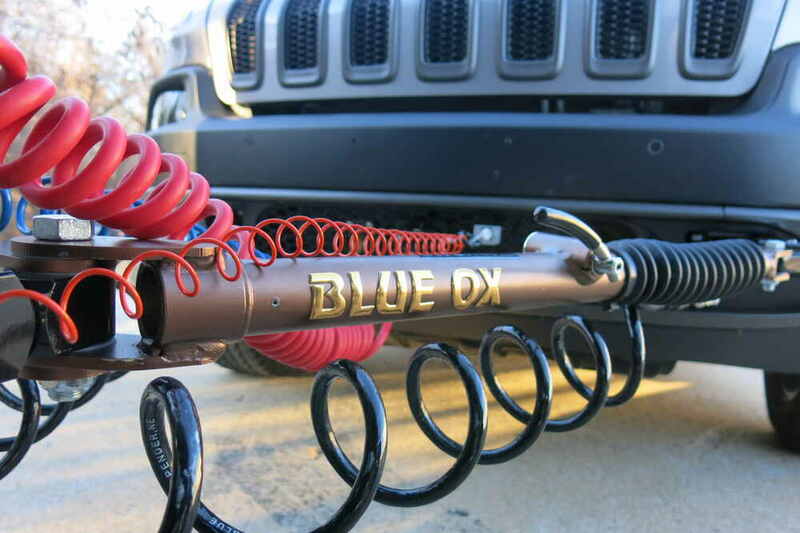 Lowest Prices for the best tow bars from Blue Ox. 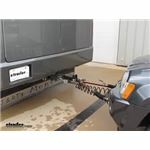 Blue Ox Avail Tow Bar - Motorhome Mount - 10,000 lbs part number BX7420 can be ordered online at etrailer.com or call 800-298-8924 for expert service. 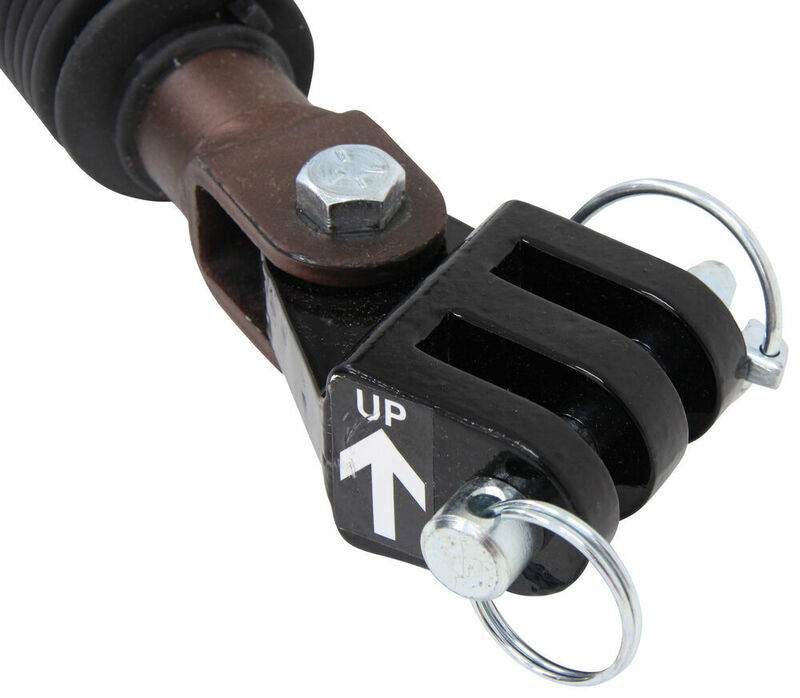 Safely tow your Honda Element around tight corners and bends with the Avail tow bar. Self-aligning arms telescope to automatically center and lock in place. An improved turning radius offers better maneuverability for a safer, smoother ride. 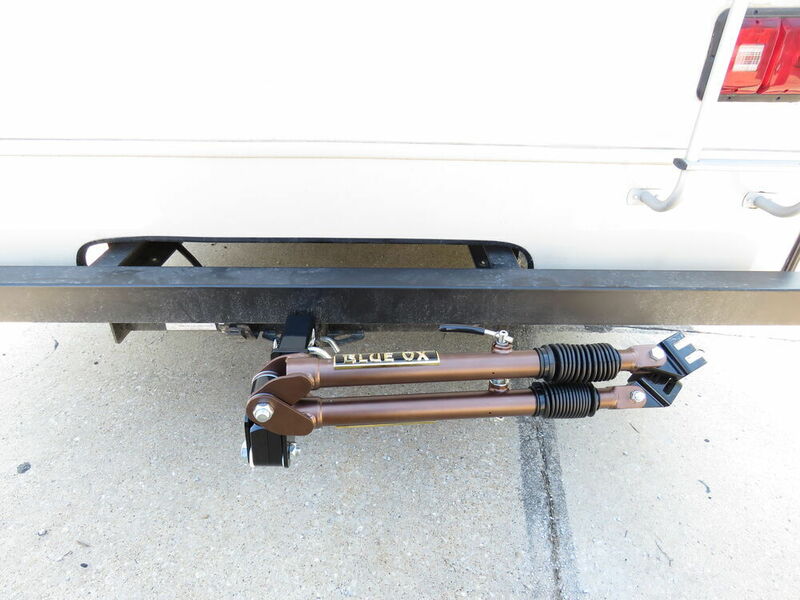 Hitch-mounted tow bar has stainless steel, telescoping arms that automatically lock into place. 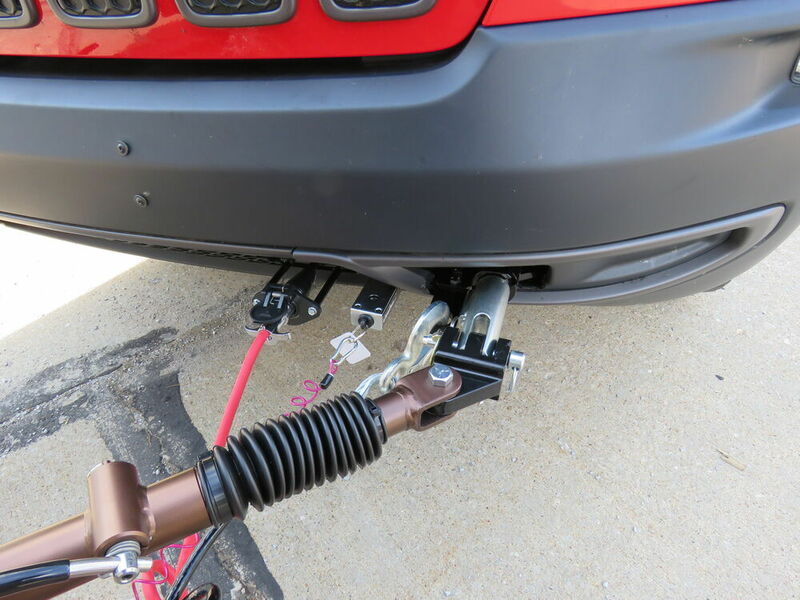 Its large hookup radius allows you to connect without perfectly lining up your vehicle. 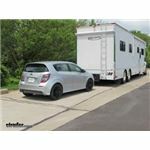 Easily folds up to store on your RV. Today, we're going to be taking a look at part number BX7420. 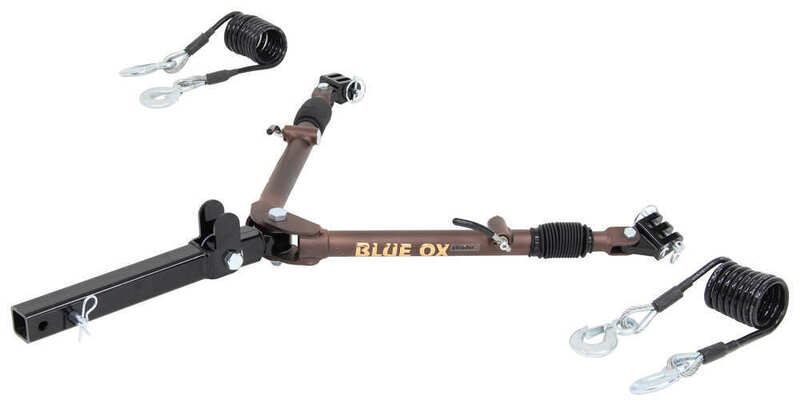 This is Blue Ox Avail Towbar. It's a motorhome mount rated at 10,000 pounds. 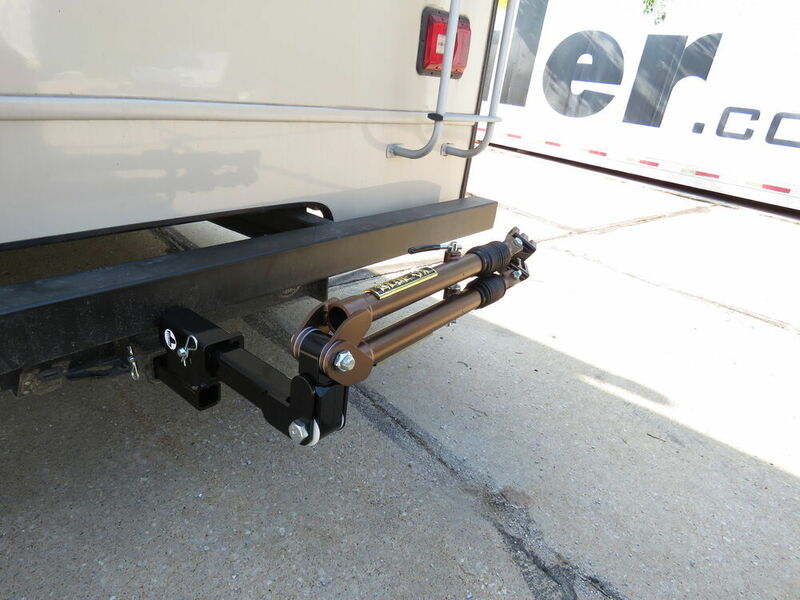 The towbar is going to let you tow your vehicle safely and securely behind your RV. 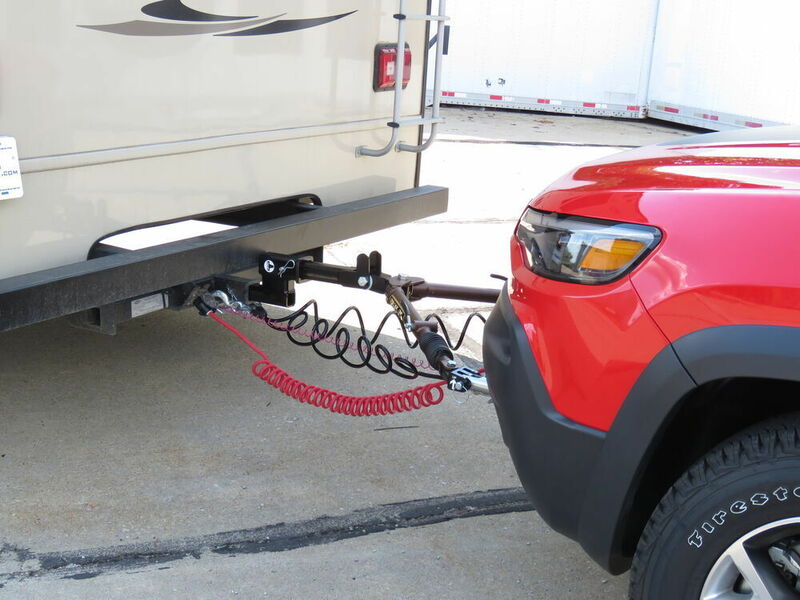 This portion here is going to slide into the trailer hitch receiver on your RV. It does not require a ball mount. 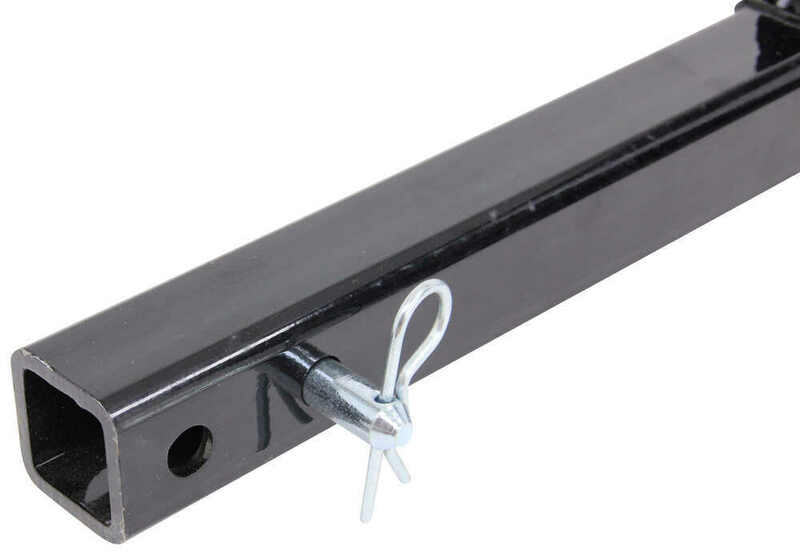 It's designed for 2" x 2" trailer hitch receivers. 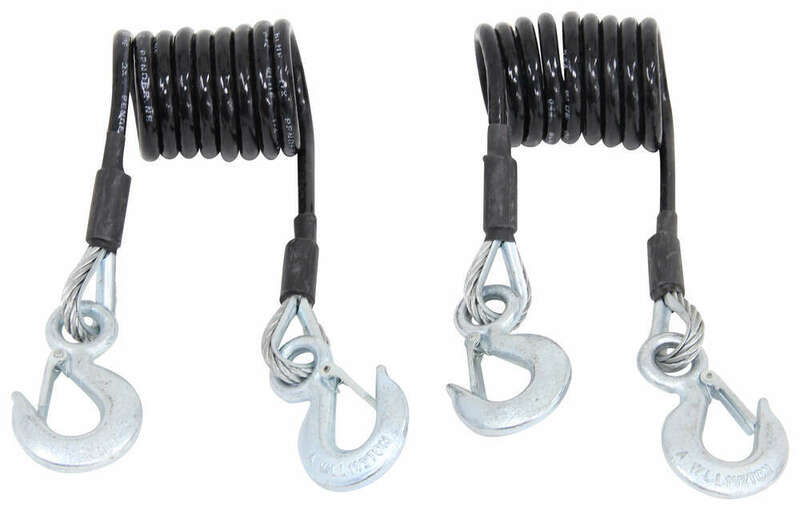 It's going to come with that standard 5/8" pin and clip. 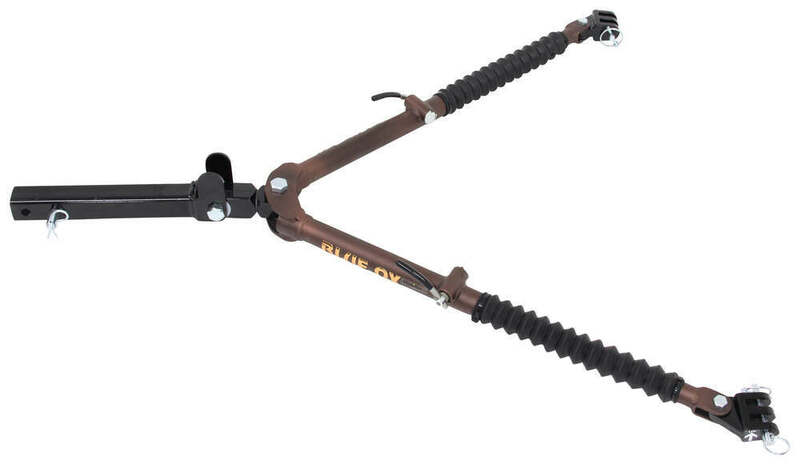 Blue Ox does sell a lock kit that's going to lock this portion here to the hitch on your RV as well as lock the attachment tabs to the baseplate on the vehicle. That's going to be sold separately. 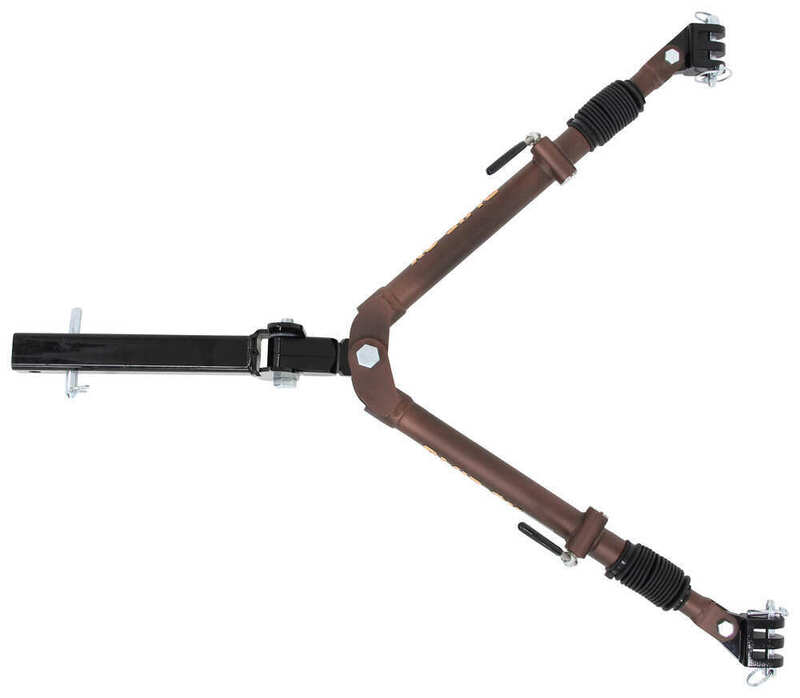 You can find that here at etrailer.com with part number BX88101. Here on the back of this portion here, the shank, it's going to have 2 pin hole locations. You can choose between the 2, whatever one is going to work best for your particular setup. This portion right here, these are going to be our wide arms. It's going to improve turning range that way you can easily maneuver as needed. 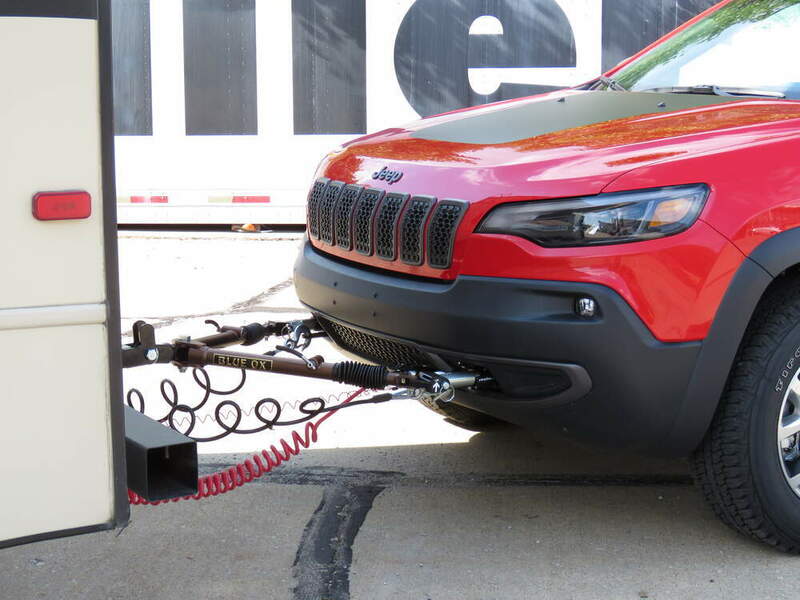 It's going to allow you to move around gas pumps and other obstacles with ease. 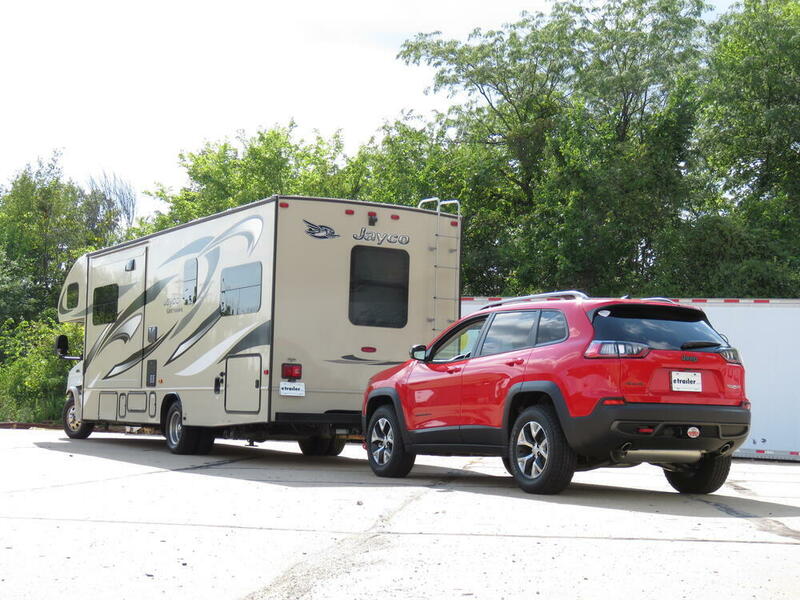 You can take corners without worrying about your towed vehicle contacting your RV. Real quick, I just want to show you the flexibility or the maneuverability of these arms. It's really simple. They're going to have a maximum arm span of 38" wide. They adjust. They have the nice pivoting point right here. You can see right here as well, it's going to have the rubber boots. These are going to protect the telescoping arms from dirt and grime. I'm going to show you real quick how those come out. Right now, they're locked in place, but if we push down, it disengages. Then once fully extended, it's going to lock back in place. When you're ready to disconnect, all you have to do is push down on that. It's going to release the locking mechanism here in the middle, and it's going to allow them to go back into a stored position. That's a nice feature. These are going to be called no-binding latches. 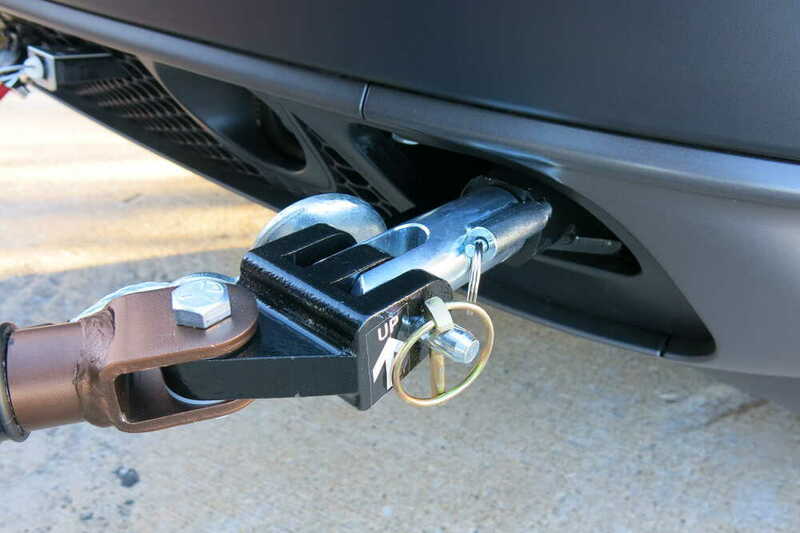 They're going to have the low-profile handles that's going to make it very easy to unhook the towbar from multiple angles. 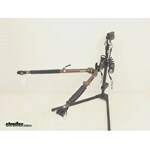 Then, you've got the telescoping arms that's going to provide a self-aligning design. 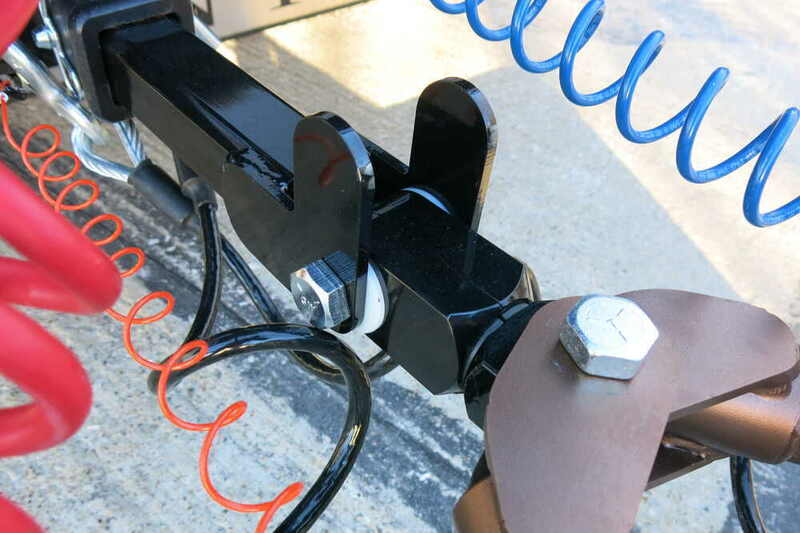 All you have to do is hook up to the baseplates on the towed vehicle at the connection points here, drive your RV forward, and then like I showed you, the arms are going to extend out and then lock to a tow-ready position and then lock in place. On this end here, you're going to have the triple lug connection. 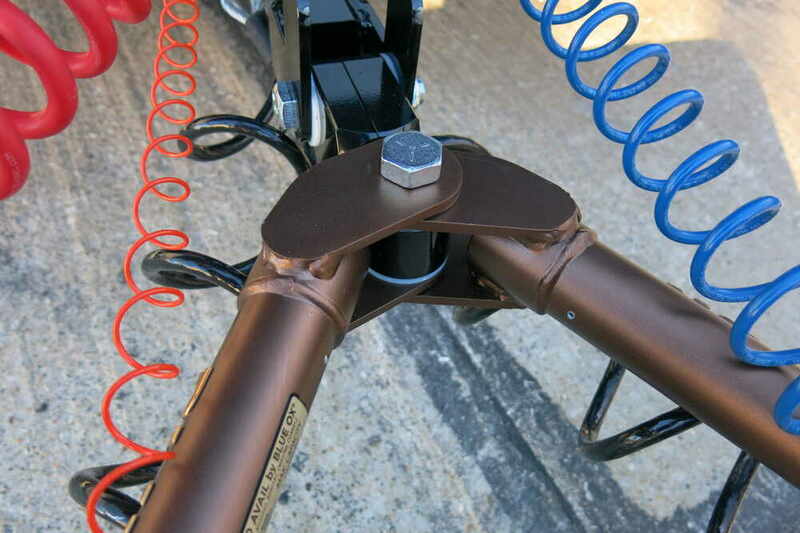 These are going to be your sturdy brackets at the end of each towbar arm. These are going to provide reinforced connections to the baseplates. Each arm is going to attach and detach from the baseplate with 2 easy to access pins. You've got a pin here and a pin here, very simple to operate. Another neat feature about this system is it's got a really nice simple secure storage along side the motorhome. Once you're done, all you've got to do is bring your arms together just like this, and then, the arms are actually going to fold up into that position there. You've got this little tab right. You want to make sure that it's all lined up center with that tab, and then, you can rotate this to either side of the RV. Those tabs are going to make sure that it doesn't come back down to a loading position and that it stays in a stored position. That's a really nice little feature that Blue Ox puts in here. 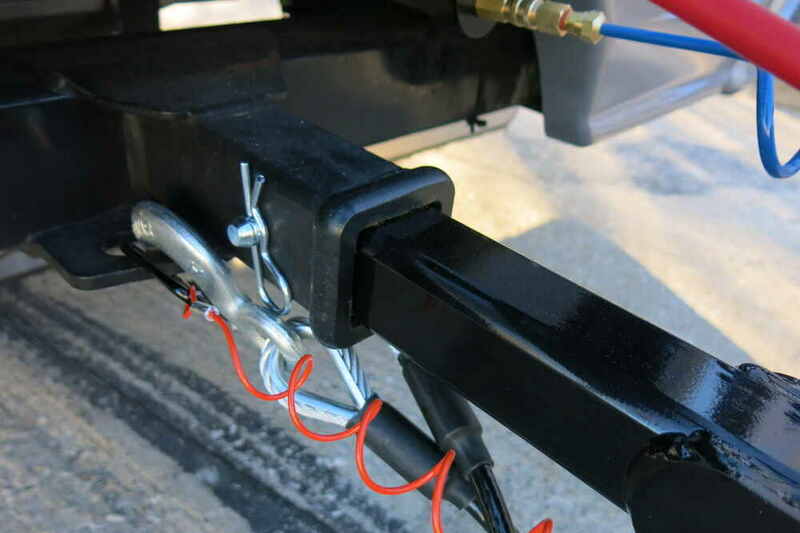 The reason why I like that is because it's very simple and easy to get it into that position, especially once you have this portion secured inside of the hitch on the RV. It makes it a lot easier to move it around as necessary. 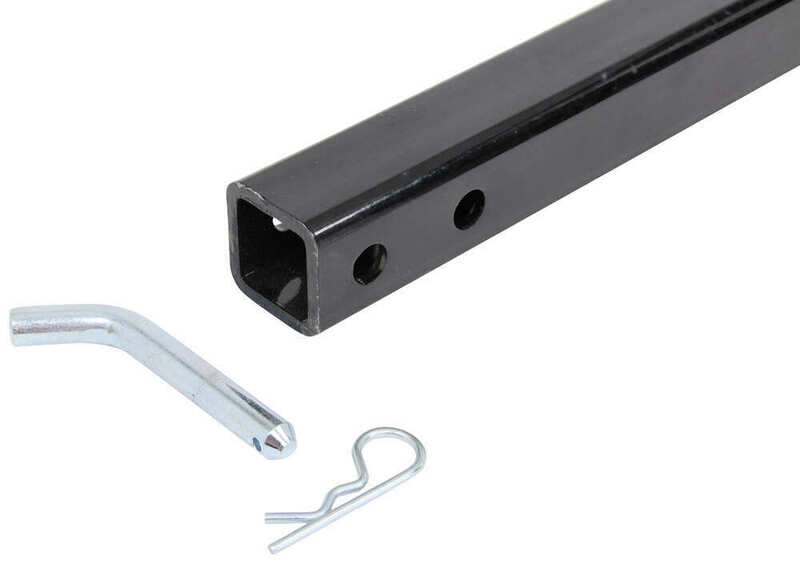 This is made from a heavy-duty steel construction. It's going to resist corrosion. It's got the nice sleek metallic paint, and again, you're going to have the rubber boots that are going to protect the telescoping arms from dirt and grime. You're going to get the safety cables. 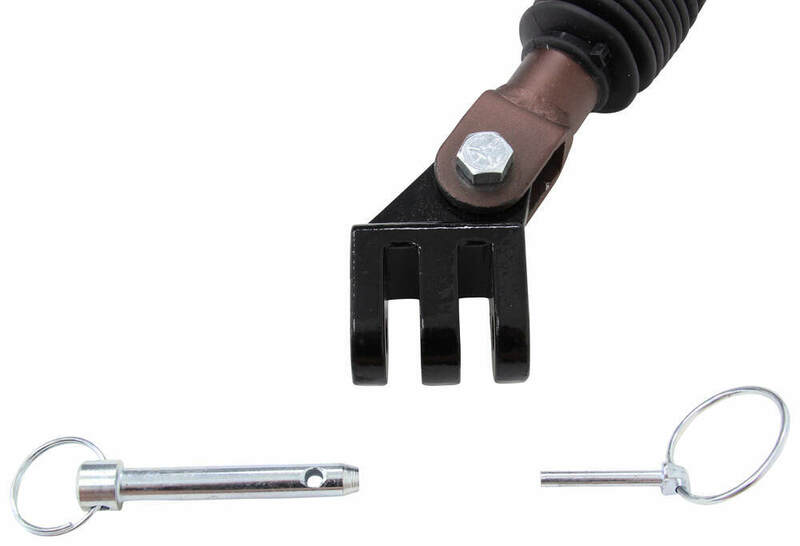 These are included, a nice, strong cable design. 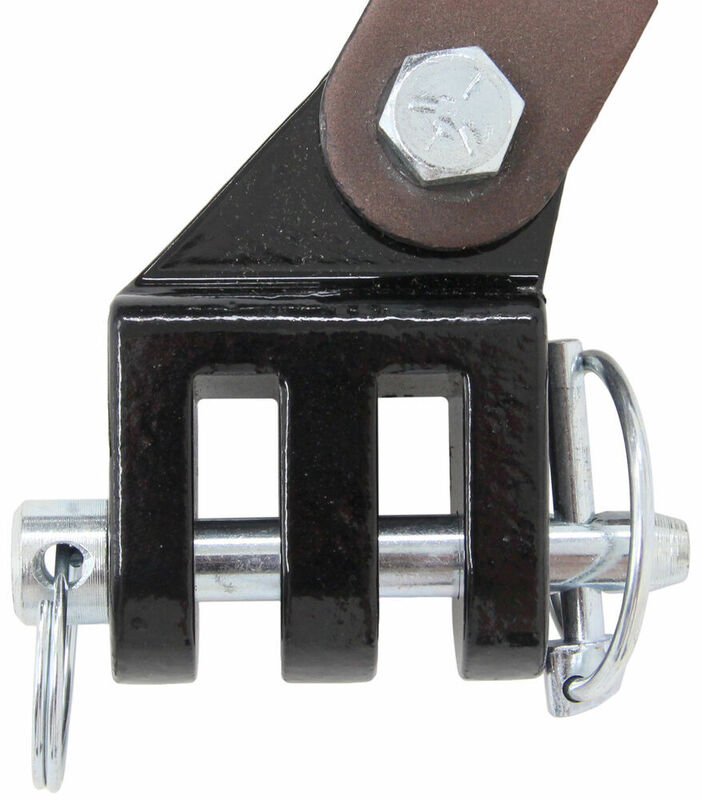 Then here on the hooks, you've got the security latch mechanism that's going to close automatically, which is going to prevent disconnecting. Again, the system is going to offer a capacity of 10,000 pounds, maximum arm span of 38" wide, and the overall unit is going to weigh about 45 pounds. That's going to come with detailed instructions. 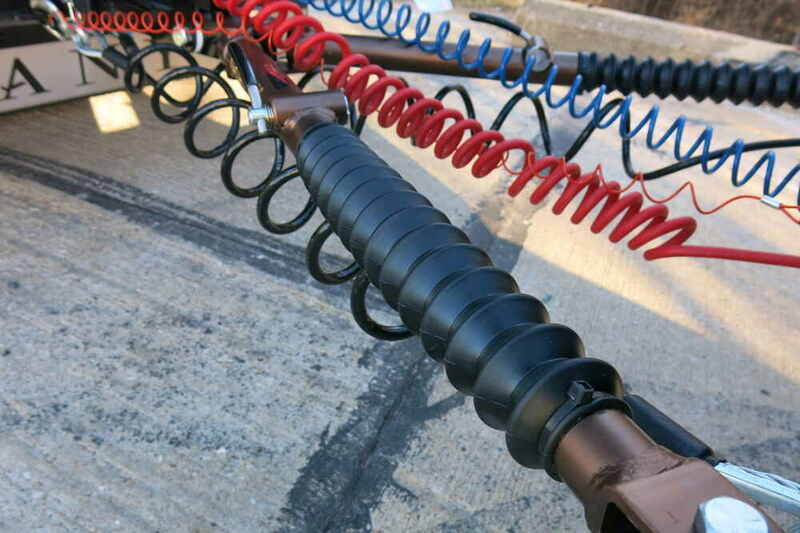 These instructions are going to walk you through step by step of the installation process. It's going to give some maintenance tips in there, that way you can make sure this system lasts you a really long time. That's going to do it for our review of part number BX7420. 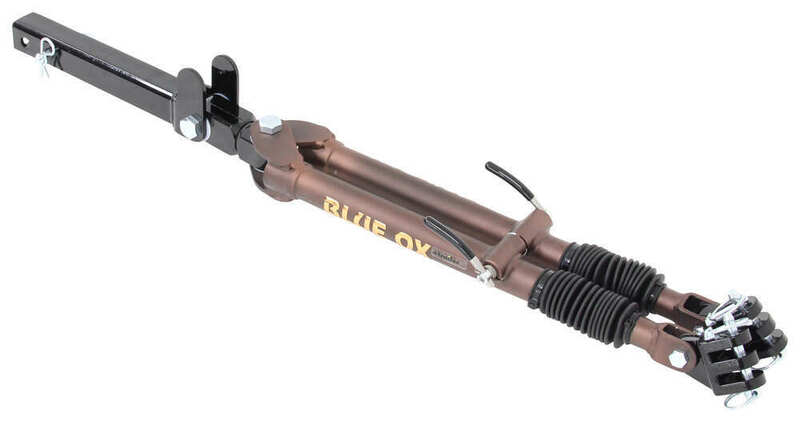 This is the Blue Ox Avail Towbar. .
Order: RelevanceNewestRating - High to LowRating - Low to High Safely tow your vehicle around tight corners and bends with the Avail tow bar. Self-aligning arms telescope to automatically center and lock in place. 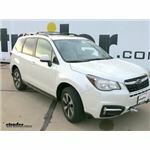 An improved turning radius offers better maneuverability for a safer, smoother ride. 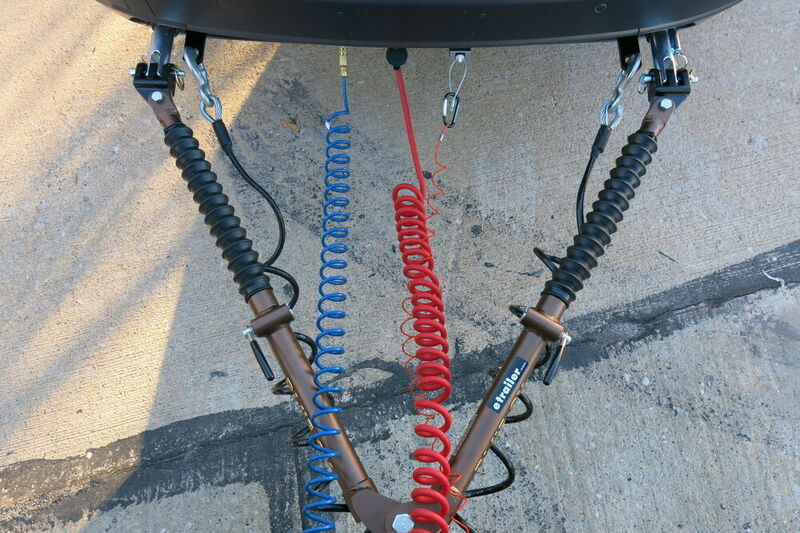 It is still the best tow bar I have ever used. Just yesterday I was unhooking my Honda CRV that was still in the middle of a turn. The release required a little effort and when it released the car jumped about an inch showing the tremendous load on the bar and latch. My old Aventa would have required several blows from a heavy object to get it to release. Its been working well for me. The paint is starting to erode and rust. 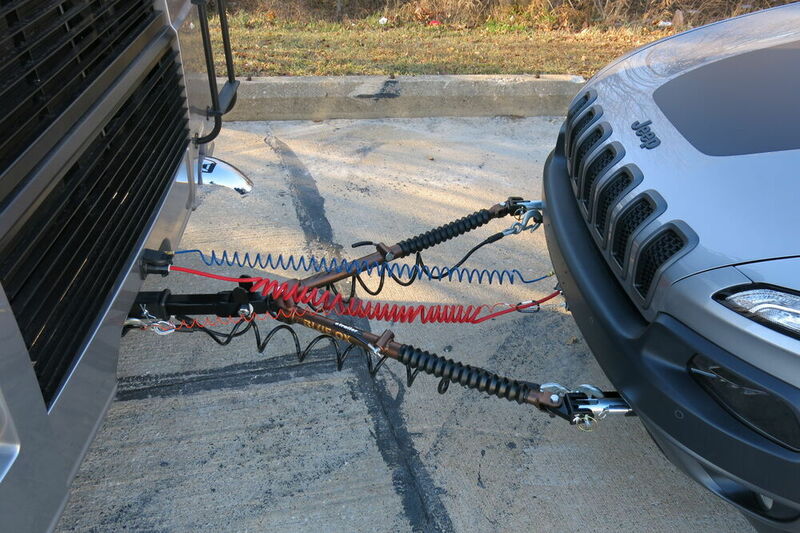 Seems like this problem always exists with tow bars. I would suggest you change to SS or plate them instead of painting them. You could offer an upgraded version for extra cost for this feature. Also want to compliment the added length of the arms. I had to use your extension before to keep the vehicles corners from rubbing in tight turns. The longer arms addressed that issue nicely. The upgraded release levers seem to work well on this unit as well. I had your rotating ball unit before this new one. It also worked well for a while and then suddenly the ball mechanism became very loose. Also the shorter arms were a problem. I still have that unit and wonder if it can be reworked? I would then have a backup if needed. 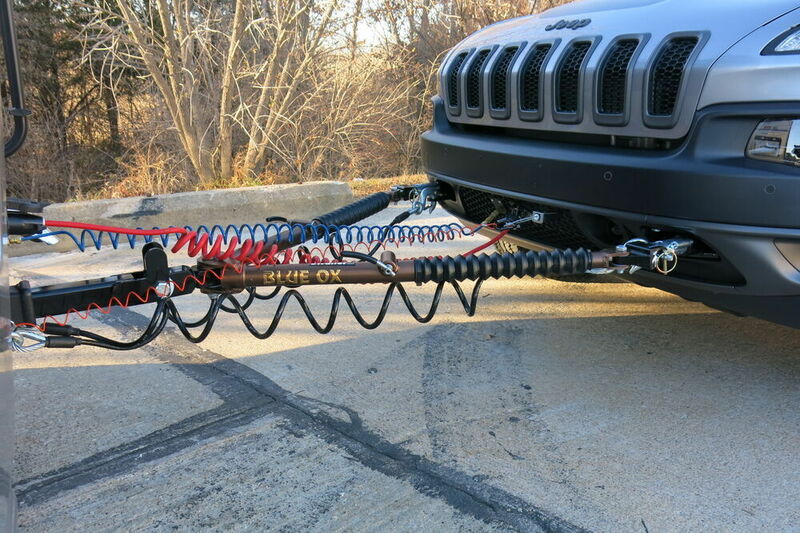 Is The Base Plate For 2017 Jeep Cherokee Trailhawk Compatible With The Blue Ox Tow Bars 10,000 lbs?